At Electrical Connection, we understand that many homeowners like to handle jobs around the house on their own. This is a great attitude to have, and there are many home improvement projects that invite the DIY attitude. Installing electrical components, however, is the type of service that absolutely requires the work of a highly-skilled, certified professional. Only a qualified electrician has the skill and expertise to complete your electrical installation safely and properly. If you are in need of a truly outstanding Newington electrical installation, call Electrical Connection today. Our experienced electricians have all the training and knowledge necessary to provide you with an exceptional electrical installation. If you have a new construction project underway, it is important that you contact a Newington electrical installation company you can trust to complete the service properly. A new home construction is a big project, and you will likely have a lot on your mind. When you work with the electricians at Electrical Connection you can have faith that your new home’s electrical system will meet all of your needs. Not only that, but our work will also meet all local codes and regulations. 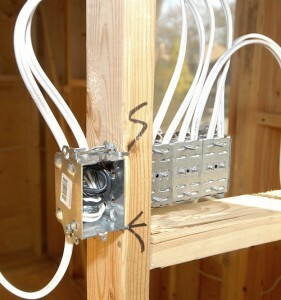 There is a lot of information to navigate with the installation of a new electrical system. Working with a professional team of electricians is the only way to ensure everything is completed properly. There are a lot of reasons why you may choose to upgrade your electrical system. If you simply want to add in new lighting or even a generator, Electrical Connections is the company to call. We will ensure that your Newington electrical installation is handled with the skill and expertise that defines our service. To learn more about the Newington, CT electrical installation services we offer, call Electrical Connection today. A member of our team will be happy to answer any questions that you may have.